If you are looking to become a Pennsylvania real estate agent, you need to follow a few easy steps. A Pennsylvania real estate agent must be at least 18 years of age. According to the Pennsylvania Real Estate Commission, you must complete at least 60 hours of real estate instruction. To ensure that your classes will fulfill the requirements, they have a list of approved education providers. After you have completed the necessary education, you need to take a proctored exam and receive at least a 75 percent. The next step in becoming a Pennsylvania real estate agent is to register for the state examination. You must send in proof of your completed coursework, a Commonwealth of Pennsylvania Examination Registration Form, and an application fee. When all of this has been received, you can schedule your state exam. Once you have passed your Pennsylvania real estate agent exam, you will need to find an employing broker. All agents must work under a licensed broker! Do your research and try to find the best fit for you personally. At this point in your trek to becoming a Pennsylvania real estate agent, you have taken the necessary education requirements, passed the exams, and found an employing broker; now you can apply to get licensed! You need to send in your education transcripts, a criminal background check, a check or money order for your license fee, your PSI exam scores, and a Completed Salesperson Initial License Application that has been signed by you and your employing broker. Finally, when approved, your license will be mailed to your Broker and displayed in the office – you are now officiallya Pennsylvania real estate agent! PS – Remember that unless you are a licensed broker, or under the auspices of a licensed broker of record; you are not able to perform Philadelphia Property Management duties! There are numerous benefits when using a Philadelphia property management team if you have a rental property. Of course people believe that they’d rather do the work themselves, than pay someone else to do it – it does cost a little bit of money to hire someone. This may be right for you and there is no knocking on that, but for many it makes a lot more sense to utilize the knowledge and experience of aPhiladelphia property management group. Experience & Knowledge: As well as you know your property, a Philadelphia property management group is in this business and is experienced in this field. They know about the area your property is located in, the laws and restrictions that could be applicable to your property, businesses in the area that can help maintain your property, and other fundamental things that will ultimately benefit you. This will come in handy when a repair needs to be done to your property! You may call around the Philadelphia area looking for a plumber, but, most likely, your property manager will have a trusted plumber on speed dial who will get the job done! Proximity: In many cases landlords have properties in numerous areas and some are living out of state; it is nice to know that you have your Philadelphia property management team, and that they are always in the area to take care of emergencies at your property. In the case of a flood or fire, your team would be able to handle the situation faster than a property owner who lived across the country. It is reassuring to know that there is always someone around in times of need and to keep an eye on your investment. Tenant Mishaps: One of the most stressful things that landlords have to deal with are the tenants themselves! Your Philadelphia property management team can collect your rent, deal with late rent issues, and handle all problems that are associated with your property. It may ultimately come down to a nasty eviction! In this worst case scenario, your Philadelphia property management group can help you in dealing with these awful circumstances. They become the buffer between you and the tenant, and, in unpleasant situations, it is nice to know that there is someone that is on your team and will fight for your best interest. Stress Reliever: As a landlord, you must have a ton of things to handle at one time – multiple properties, massive amount of paperwork, your own needs, your tenant’s constant needs, and the list goes on! A Philadelphia property management team will help you with all of that and be worth all of the money in the world for the simple reason that they will help compartmentalize the stress and headaches! If you are interested in taking a vacation, you can rest knowing that everything is under control. Overall Success: If you own more than just a few properties, it is almost always necessary to bring a third party onto your team; there is simply no way you can manage everything at once on your own! Bringing on a trusted Philadelphia property management team is a really smart move for you. It will decrease the amount of responsibility on your shoulders and improve your ultimate chance for success! SHOULD YOU HIRE A PHILADELPHIA PROPERTY MANAGEMENT TEAM? If you are in between what you should do about hiring a Philadelphia property manager, visit our blog post which explain in detail a property manager’s value. Remember to do what is best for you personally! If you do decide to go with a manager, please do your research and check out their differing prices and what they specifically offer. Also, read reviews and take advice from your friends! Philadelphia Real Estate Construction Permits Are on the Rise! Around the country and in Philadelphia real estate, construction permits are on the rise, allowing contractors to build new homes! U.S. builders have started working on more single-family homes and have been requesting permits to start building more. According to a government report that was issued on Tuesday, permits are “at the highest rate since September 2008,” which is pretty wonderful news! 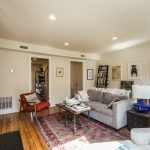 WHAT DOES THIS PHILADELPHIA REAL ESTATE NEWS MEAN FOR US? If you want to know what this Philadelphia real estate news means for you and your family directly, itindicates that people are beginning to feel more comfortable investing in Philadelphia real estate again,and that the depressed home market may be starting to turn around! It also will create more jobs for the thousands of unemployed in and around our area. Get in touch with your Philadelphia Property Management consultant today. Before you put your Philadelphia real estate on the market, you need to come up with a reasonable listing price. Yes, you can come up with a number on your own by researching what similar places are going for in your neighborhood, but a Philadelphia real estate agent would be a huge asset here. They can help you come up with a reasonable price that will get it sell. 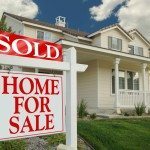 You will definitely attract attention by posting a “For Sale” sign on your Philadelphia real estate, but a major source of interest is going to come from internet listings & advertisements. A Philadelphia real estate agent will really become useful during this part of your search for a buyer – they have an extended network, and people are looking to them to specifically find places to buy. Also, when using a trusted name in real estate, people will be more likely to trust your property and the dealings that go along with it. Alone, the network and the amount of internet traffic their site gets, is worth hiring them! When you are getting ready to show your house to potential buyers, it is necessary that you make it aspresentable as possible. Most importantly, you want someone to see themselves living there. Though no one is discounting your ability to “stage” your Philadelphia real estate, it is good to have someone who is unbiased. At this point, a Philadelphia real estate agent will really come in handy. Depending on how much real estate knowledge you have, a Philadelphia real estate agent or Property Manager in Philadelphia could really be used to your advantage when you are negotiating with a buyer and when are you trying to work through all of the logistics and paperwork. This is what your agent has been trained for and it is always beneficial to have an expert on your team. You don’t want a deal to fall through just because there was incorrect filing of paperwork or something minute. It appears that, though there may be a few downfalls to using someone else to sell your home, the benefits of hiring a Philadelphia real estate agent far outweigh the detriments! One of the most visually obvious differences this time of year between the city and the suburbs is the lack of blooming flowers, abundance of trees, and green grass. 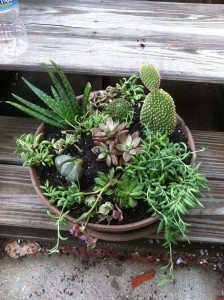 If you are enjoying your Philadelphia rental property, but feel you are lacking out on the foliage the suburbs provide, there are a few ways you can create your own garden oasis. If your Philadelphia rental property does not have a grassy area and you are craving your own garden, there are some options for raised beds that can help you create a perfect area! There is something to be said for window flower boxes – they bring nice curb appeal to your unit, and are a beautiful way for you to add some foliage to your Philadelphia rental property. A different approach to creating an herb garden in your Philadelphia rental property is to make it vertical. 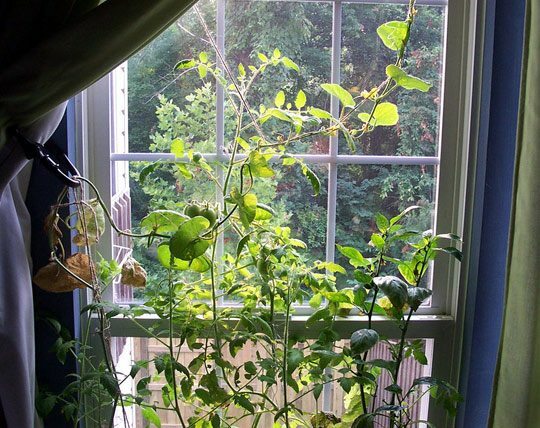 By using your fence, or even a closet door, you can get a hanging unit and use it to plant vegetables, flowers, etc. Some of us like to do things a little bit outside of the “flower box,” and, if that person is you, I have found the perfect thing for your Philadelphia rental property, a green wall! Hoffman Design creates “essentially vertical walls of plant life that live inside your space.” It brings outside life into your home in one of the most inventive ways! If you have any other ideas to create the perfect green oasis in your Philadelphia rental property, please share your comments and thoughts with us! According to an article by Al Heavens, Philadelphia real estate improvements may not guarantee a boost in the sales price of your property. He notes that, while “doing the necessary improvements to a house will help it compete,” extravagant or unnecessary improvements may not increase your sales price. The main thing that sellers should make sure they are doing is listing their Philadelphia real estate based on the current market value, which means that it is listed to sell within 30 to 90 days. Bottom line, do not make the assumption that your renovations and construction projects are going to increase the value of your property, and, if they were to, that that increase in value will equal out to the amount you spent. While some remodels and updates may not increase the value to your home, there are some improvements that will help your property compete with others that are on the market! A new coat of paint will do wonders to your Philadelphia real estate. It helps it to look fresh and new! It is a fairly inexpensive way for you to add some interest. 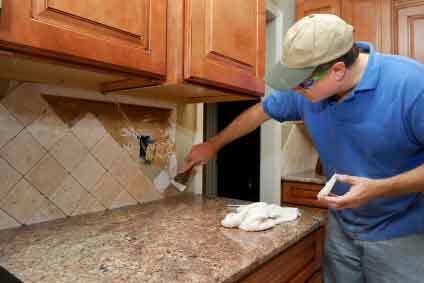 New cabinets are definitely a plus, but some people think it may be too costly. If this is the case, feel free to add some new hardware to spruce up your kitchen. Also, new appliances are beneficial! A more expensive improvement to your Philadelphia real estate that will most likely add some serious value is remodeling a current bathroom, or creating a new one! 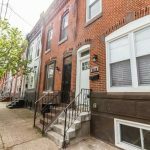 It is hard to be sure that you are going to get a return on the money you are putting into your Philadelphia real estate, but you can take small steps to help!